While making the new website, I've realized that the blue Triad registered as Q228FDD is the only Triad with Mini Mk1 rear lights (instead of Mk2 lights for the next cars) and the registration Q228FDD is close from my Mosquito's (Q639FAD). Last thing: it's been first registered in 1987 (Mead & Tomkins period). 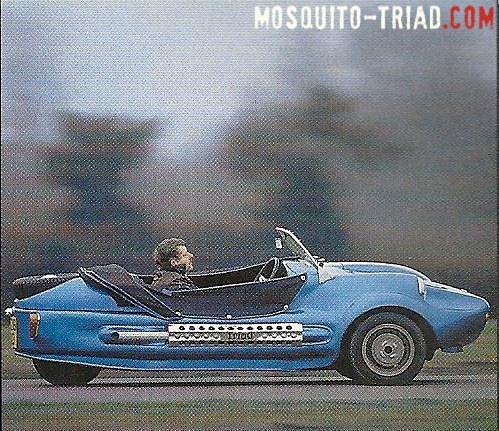 My conclusion is that Q228FDD is a Mosquito that have been modified to create the Triad and was used as a demo car to promote the Triad and bring the first orders for Malvern Autocraft. 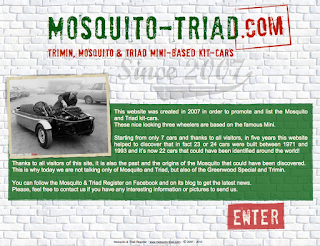 Here we are: the 5th birthday of the Mosquito & Triad Register! To celebrate this event, the website has been completely changed. The main change is that there's no more French version of the website, it's only in English now. Regarding cars, I've learnt a little bit more about them and you'll know about it in the next few days. There are still 1 or 2 cars missing and a lot to learn about the others but I don't lose hope to find them out! You can register as a follower on this blog. 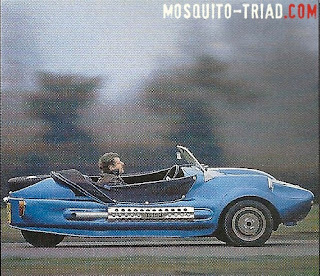 it will take you just a few seconds and you won't miss anymore news from the Mosquito & Triad Register. Please feel free to forward this link to the Mini / Mini-based cars enthusiasts you know.